Today, cameras have become so popular that there may be hardly any person without a camera. We all carry cameras in our smartphones that are always ready to take shots when we want. You are lucky that you are living in a time where we all carry cameras for photography. Photography, as you know it today, was not cheap and common in the past century. Because cameras were not available in shape as we know it today. Early cameras took hours to take a picture, which means you don’t have to move for hours! It may look strange but it is true. These cameras were only useful for taking pictures of buildings or natural scenes. History of the camera goes back to the 11th century; a time known as the golden period of Muslims. During that period, a Muslim Arab scientist Ibn Al-Haytham – who was an expert in optics – invented the camera known as the Pinhole camera or camera obscura. 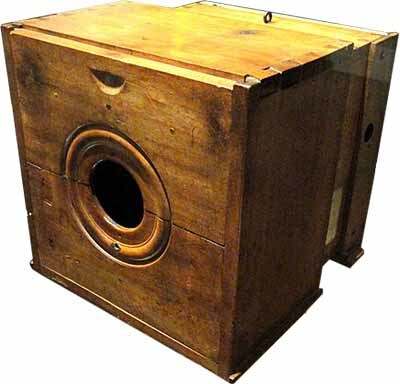 Pinhole camera was made of a wooden box that was dark from inside. This box had a small hole in it at the center of one side. When light passed through the hole it formed an inverted image inside the box. This invention was a major breakthrough in understanding how light works and form an image. The pinhole camera was a brilliant invention and was used to form an image of the solar eclipse. This camera had only shown images when light passed through it, but it was unable to preserve the images – like we do today. 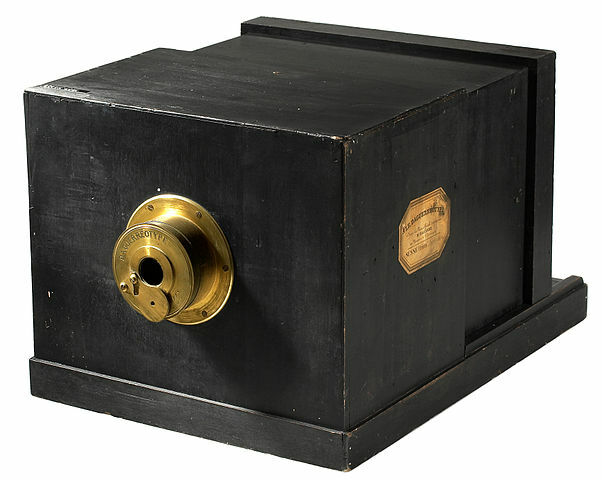 Camera Obscura was used by artists for tracing the shape of an image formed inside the box. Because artists were unable to preserve the image. The solution to the preservation of images came when Nicephore Niepce developed a paper that was sensitive to light. This sensitive paper was coated with silver chloride. When the light was directed towards the paper, it turned dark. Mr. Niepce found this discovery useful in photography. So, he performed an experiment by placing the paper inside the camera obscura where the image is formed. When he allowed the light to enter from the hole, an image started to form. So, how an image formed on the sensitive paper that turned dark when exposed to light? 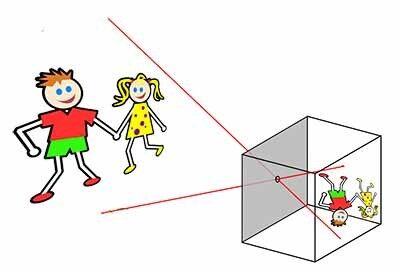 When an image is formed inside camera obscura, there are a bright light and low lights. The bright light regions turned the paper darker than low light region. This way the image was formed. Mr. Niepce formed the world’s first photograph that was made using the light in the year 1827. This photographs took about 8 hours to form on the paper. But there was still a problem in the photograph, it was not permanent. The photograph turned dark over time due to light sensitivity. Nicephore Niepce after the development of sensitive paper started to improve it so that image can be preserved for a long time. During his development, he partnered with Mr. Louis Daguerre. They both worked to somehow preserve image permanently. But during their journey to development, Mr. Niepce died in 1833. Then, the work of permanent photographs was continued Mr. Daguerre along with the son of Mr. Niepce. In the year 1839, Mr. Daguerre found an effective process for photography, which he named after himself “Daguerreotype”. The images formed with this process were long lasting and were not affected by light. Daguerreotype photography revolutionized the field of photography. Photography started to emerge New York City that used daguerreotype photography method. The daguerreotype photography could only be taken inside studios because cameras were huge and took-up whole room. Also, the time for taking the photographs was still long. The solution came after the invention of dry plates; a glass plate coated with dried gelatin emulsion. Dry plates reduced the time of image formation and the size of the camera. As a result, photographers were no longer limited to studios. The development of handheld cameras due to dry plates allowed photographers to take photographs anywhere. But, dry plates were thick and heavy, so it was still difficult for common people to buy a camera and take photographs. The issue was solved by Mr. George Eastman. He developed flexible roll film for making negatives of the images in his camera named as “Kodak”. The flexible roll films made the camera very compact and easy to carry. 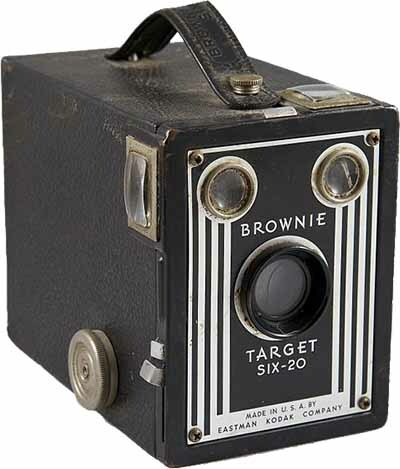 Cameras with flexible roll film became very popular and were used for a long time. Then, the development of the camera further progressed and another revolutionary invention came to the digital camera. 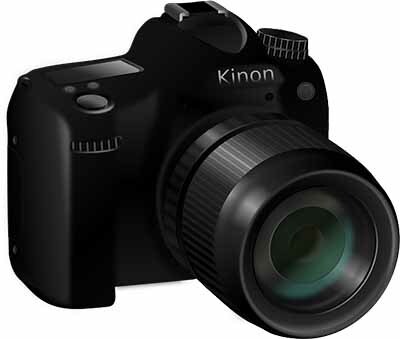 The digital cameras emerged when digital technology has sufficiently progressed. The first true digital camera was made in 1988 and was called Fuji DS-1P. It had 2 MB SRAM for storing a digital image until the image was transferred to a computer. Despite being a successful digital camera, this model never went commercially. 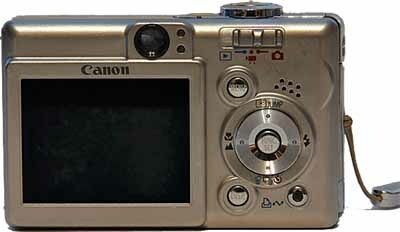 The first commercially available digital camera was DS-X by Fuji and was sold at the end of 1988. Abdul Wahab, "Camera," in Science4Fun, April 13, 2019, http://science4fun.info/invention-of-camera/.